Gardener's Paradise!!! Wow!! This fantastic 8400 sq.ft. 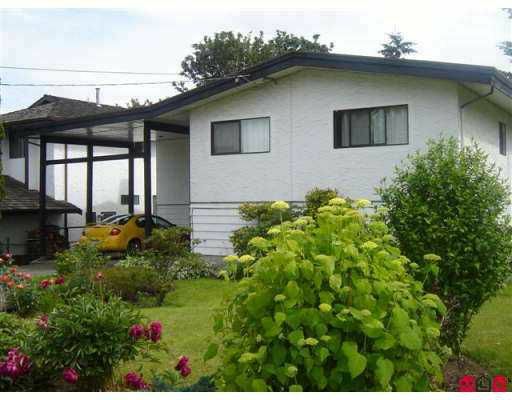 lot is located in one of Mission's most desired neighbourhoods. The private backyard gives the illusion that you live on acreage. Fire pit and patio at the bottom south east corner of the property! Gardens Galore!!! Wow! It would take years to grow a garden like this!! West coast rancher with exposed wooden beams, hardwood floors, 2 skylights and updated kitchen and flooring! 5 bedrooms and a den... This is a home for a LARGE fami ly!! Call to view today! This home will not last long.